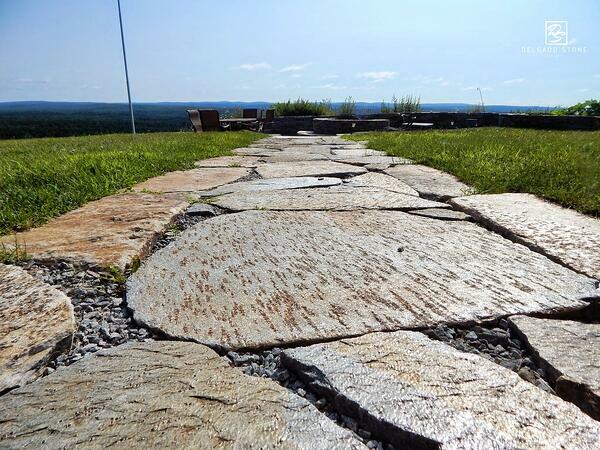 Natural stone flagging is growing in popularity as more people look to create something truly unique. While bluestone and pavers are common, we have noticed an increase in requests for natural stone steps and flag stone. The CT Pool Company, Total Pool & Spa, has recently won several awards for their work on Candlewood Lake Isle in New Fairfield, CT. The award winning project featured Colonial Tan stone veneer and flag stone. The project earned the NESPA People's Choice and Gold Award in 2016. It was later the cover feature for Edge Magazine in 2017.